After recently completing our first ever population and households forecasts for Hutt City 2013-2043, we are releasing a blog series to cover several new forecasts in New Zealand. In this first blog, I outline what is expected to change in Hutt City over the next 30 years, the drivers influencing change and the implications this may have on the City. I also look at some of my favourite forecast.id functionality which really exhibits the strength, flexibility and depth of this .id resource. Hutt City is located just north of Wellington City at the bottom of New Zealand’s North Island. The area was first settled by Māori near the Hutt River mouth and shoreline. European settlement began in 1839 with the arrival of immigrant ships soon after. Before the Second World War, urban settlement in Hutt City concentrated mainly on Petone, central Hutt City and the Esplanade area. Most of Hutt City’s growth occurred after the war when Hutt City played an important role in alleviating nationwide housing shortages and catered for the booming post war population. From the 1960s, middle class home buyers (mainly families) headed for the western hill suburbs (Maungaraki, Normandale-Tirohanga, Belmont and Haywards-Manor Park-Kelson). Maungaraki was actually developed by the then city council for private housing and was the largest government subdivision in New Zealand involving significant earthworks to cut valleys and fill hilltops. Hutt City plays an important role in the Greater Wellington region. As seen on the migration flows map below, most gains of new residents are from overseas and from Wellington City, while Hutt City loses residents to adjacent areas such as Upper Hutt City (corridor movement which is in part related to housing availability and affordability) and the Kapiti Coast District. There is also a notable loss of residents to Auckland who may predominantly represent younger adults searching for education and employment opportunities there. Many Hutt City residents commute to Wellington City and to a lesser extent, Porirua City for work every day. ‘Journey to work’ statistics illustrate this daily connectivity between Hutt City and its neighbours. More information is available in my previous blog on the Wellington Region. The population of Hutt City has been relatively stable in the last 20 years. The Hutt City Community Profile shows a growth of 3,200 residents between 1996 and 2015. In the future, Hutt City is forecast to grow by 8,685 residents, from 101,200 in 2013 to 109,885 in 2043, driven by steady residential development but also net migration gain, which has been influencing population change across New Zealand. By accessing the “Population Summary” page, you can view and sort the table in ascending/descending order to understand exactly which areas will grow the most and which may decrease in population over time. Clicking on the header of a column, we can see that “Hutt Central-Waterloo West” will have the largest total change in population over 30 years (+1,424 residents) with an average annual percentage increase of 0.84% which is higher than the average annual percentage growth for Hutt City as a whole (+0.27%). 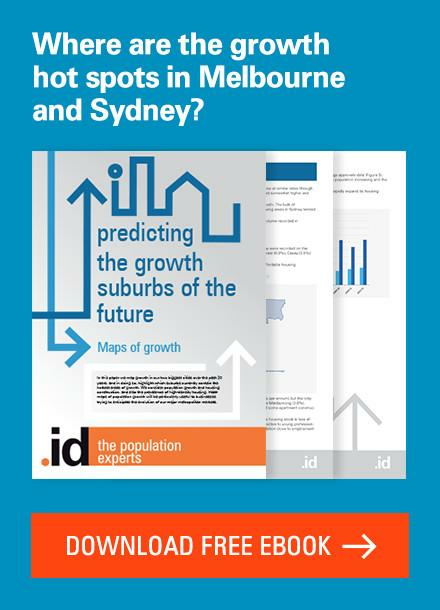 This is an area which is expected to see residential urban intensification and development of low rise apartments from the early 2020s, so by assessing the assumptions – you get a full picture as to why the population of a small area will change over time. Other areas which will experience similar changes are Korokoro-Petone Central-Wilford and Esplanade. On the other hand, areas which are expected to see very little in terms of residential development and are losing population in the future, such as Alicetown-Melling or Eastbourne will lose between 100 and 120 residents between 2013 and 2043. The main reasons for these losses, other than the lack of assumed residential development and addition of new housing stock to the area, are ageing in place and decrease in family households/increase in older couple without children and lone person households, which results in lower average household sizes and thus a lower future population. The forecasted age structure for Hutt City and each of the small areas is accessible here. Along with identifying the dominant age groups in an area, the forecast age structure also illustrates what the population will look like in the future. In Hutt City’s case, the dominant age groups in 2013, at the start of the forecast, were adults aged 40-54 years, followed by families aged 30-39 years old and their children aged 0-9 years. By 2043, the largest changes in age cohorts are for those persons aged over 70 years which relates to the general ageing of the population and of those adults who were in their 30s and 40s in 2013. 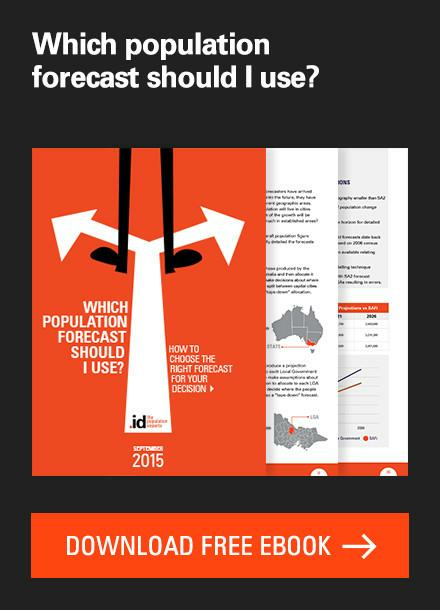 Forecast.id allows you to choose the age grouping either by five-year age groups, or by descriptive service age groups e.g. Babies and pre-schoolers (0 to 4 years), Tertiary education and independence (18 to 24 years), Empty nesters and retirees (60 to 69 years). As Hutt City is already a developed area, with a lot of residentially zoned land already built on, there is not as much room for significant greenfield residential development as is the case in neighbouring Porirua City or in the northern suburbs of Wellington City, though this is not to say that pockets of greenfield estates have not and are not developing. Areas such as Glendale will experience increasing greenfield development, especially when the “Upper Fitzherbert/Wise Street” greenfield development commences. Examples of smaller greenfield development are forecast to occur in Parkway, for example, where a 120 dwelling residential development is forecast to occur from 2018-2023. Forecast.id provides ways of neatly assessing and visualising assumed residential development in small areas for the 2013-2043 period, as with the Glendale example below. Major development sites (those yielding more than 10 dwellings) are listed with an assumed development capacity and assumed timeframe. This gives council staff an accurate idea as to when an area is most likely to experience growth and change which may require the council’s assistance in terms of resource allocation or service provision planning. Along with residential development assumptions, net migration assumptions are also available for each of Hutt City’s 28 small areas. Migration is one of the most important components of population change. Once a forecaster has established the amount of development activity in an area, the next step is to make assumptions about who will move into the area as well as who is leaving the area. Net migration by age is an excellent way of understanding housing markets. Hutt City’s net migration by age shows that the City is expecting to continue to gain adults aged 25-39 years old and children aged 0-4 years, that is, families who move here with young children. There is a loss of young adults aged 18-24 years, representing a mobile age group which typically leaves the City for education and employment opportunities in larger nearby markets such as Wellington City, or further afield in Auckland City, for example. There is also a loss of mature adults, empty nesters, early retirees and retirees aged 45-69 years who may be downsizing their housing and perhaps selling property in Hutt City in search of small, more affordable or more lifestyle oriented housing elsewhere in the region. There is a slight net gain of frail elderly adults aged 85+ years who may be migrating to Hutt City in order to be closer to hospital, healthcare and aged care facility options, especially ones constructed in the 2013-2018 period such as the Bob Scott Retirement Village in Korokoro – Petone Central – Wilford. A very useful part of forecast.id is the “Forecast mapping” module. Here, you can assess the scale and type of change each small area is assumed to undergo during the forecast period, or during a specific period you are interested in. For example, if we were interested in assessing how much development is anticipated in Hutt City between 2016 and 2026, to be included in a “10 Year Planning” report, the year range and the type of thematic map can be changed on this “Dwellings and development map“. Areas such as Korokoro-Petone Central-Wilford, Parkway, Hutt Central-Waterloo West and Boulcott illustrate the highest absolute levels of residential development on the map shown below. When you scroll below the map on the website, a table outlining assumed growth between 2016 and 2026 allows further analysis and both the map and the table can be easily exported for uses in custom reports, as I have done with the map below. 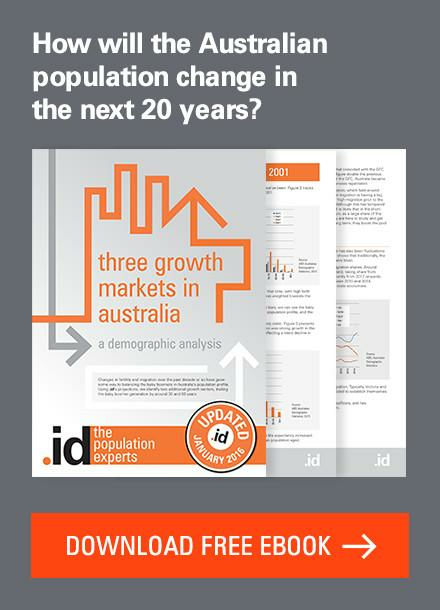 Another mapping tool within forecast.id is the “Population and age structure map” which lets the user choose the time period they’re interested in analysing and also the age range. 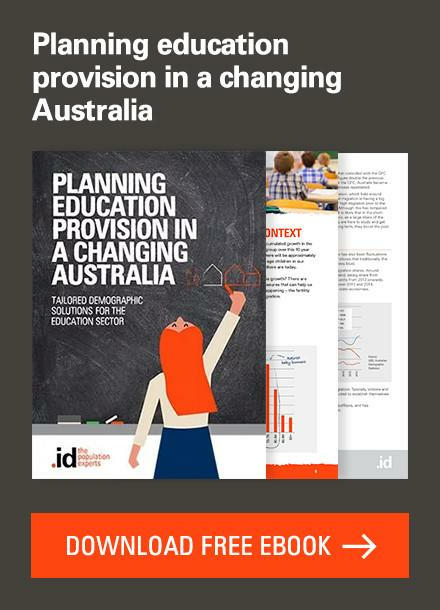 So, for example – if you are preparing a strategic document to plan council’s resource allocation in early childhood education for the next 30 years, you can choose the time period and age range you need as well as the thematic mapping type, in this instance – the percentage change in 0-9 year olds, for each small area. The output is a map and a table, showing that the largest percentage change in 0-9 year olds will be in areas such as Esplanade, Glendale, Hutt Central-Waterloo West and Stokes Valley Northwest-Holborn, all with more than 10% growth of 0-9 year olds between this chosen 2016-2043 period. Areas which will experience decreases in terms of percentage change are Eastbourne, Alicetown-Melling, Epinu East, Gracefield-Seaview-Waiwhetu. If you remember the earlier discussion about population gain and loss, those same areas which are expected to experience low rates of new dwelling additions (residential development) and ageing in place, are also the ones which will have fewer children aged 0-9 years in the future because there will be fewer families living in those areas. The “Forecast mapping” resource also provides interactive maps of “Household types” which give you insight into the change of household arrangements that residents live in, both now and in the future – whether they’ll be couples with/without children, lone persons, etc. 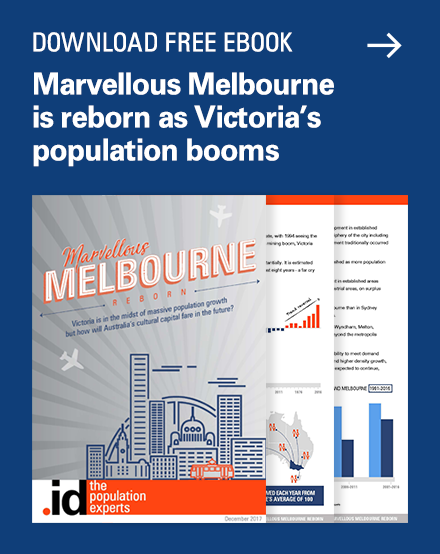 These changes are driven by the assumed volumes of residential development, ageing in place of an established suburb and suburban regeneration. The website also allows you to select specific reports for a single small area or the entire Territorial Authority and create a PDF/Microsoft Word output for immediate use. 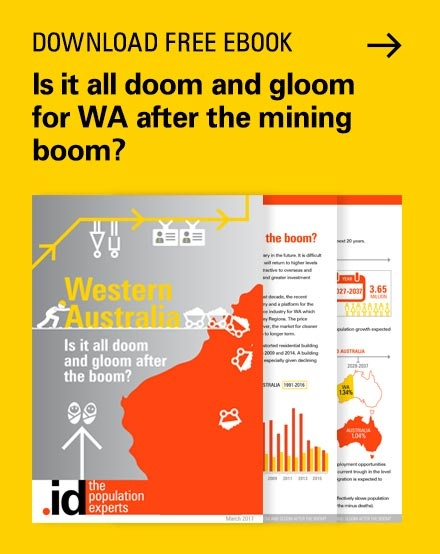 Along with this, all our forecast.id websites also contain comprehensive information about the forecasts, the methodology and techniques employed when creating forecasts as well as frequently asked questions and a glossary. 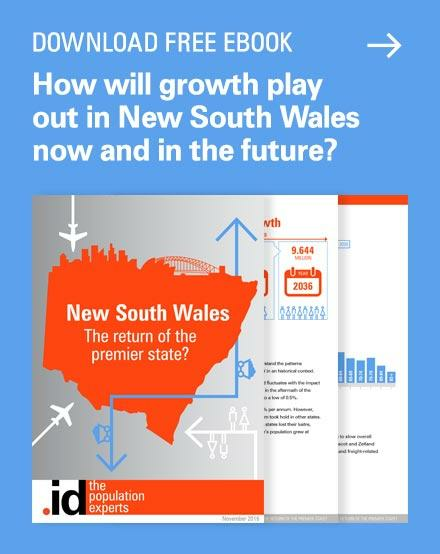 We invite you to check out the Hutt City population forecasts, they are a publicly available resource which is designed to provide knowledge about the future and in turn encourage people to make confident decisions. They are suitable for anyone to use, from council staff, to community groups, students, investors or just someone who is curious and wants to learn about a place. .id’s team of population experts use a unique combination of online tools and consulting to help organisations decide where and when to locate their facilities and services, to meet the needs of changing populations. Access our free demographic resources here. 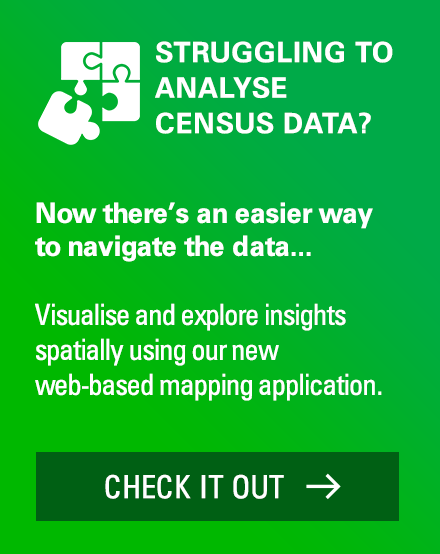 Previous story Why do we need a Census in 2016 anyway?